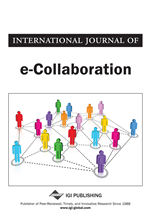 There are a vast number of studies that examine narrowly focused aspects of collaborative activities. However, rare is the research that synthesizes the findings of these studies and suggests an overall picture of well-designed collaborative activities. Toward this end, this manuscript discusses the characteristics of collaboration related to communication, structure, group composition, and grounding. The design of a collaborative activity should allow for certain types of conversations, feedback, and questions. The structure of a collaborative activity should consider tasks, scripts, and roles. Group size and ability grouping are flexible based on the analyses conducted at the beginning of the design process. The social space should afford grounding by not only allowing for social interaction, but also by stimulating such interaction. Defining several terms, discussing their differences, and justifying decisions about operational definitions are necessary in order to situate a discussion about online collaboration and well-designed collaborative activities. Direct quotes are useful in order to identify precisely the phenomena under discussion. The first term to be defined is collaboration. Roschelle and Teasley (1995) considered collaboration as “a coordinated synchronous activity that is the result of a continued attempt to construct and maintain a shared conception of a problem” (p. 70). Although this definition is consistent with other definitions of collaboration such as “a coordinated effort to build common knowledge” (Crook, 2002, p. 65), the definition is problematic in three respects. First, the definition offered by Roschelle and Teasley requires that the coordinated activity be synchronous. This requirement limits the ability to use the definition in a discussion of online collaboration that occurs asynchronously. Second, Roschelle and Teasley’s definition focuses on problem-solving, though there are other purposes for collaboration. Third, their definition speaks of collaboration only as a result, or outcome, thereby eliminating any discussion of collaboration as a process. The definition offered by Mäkitalo-Siegl (2009) highlights this difference, describing collaboration as a coordinated effort in which “participants pursue joint goals and solve shared problems and build mutual understanding of some particular issue” (p. 9). Thus, Mäkitalo-Siegl’s definition of collaboration is more useful for this discussion because it allows for synchronous or asynchronous activity, allows for either an outcome or process focus, and allows for a broad range of collaborative purposes. A precise definition of collaboration can guide the exploration of collaborative learning and the kinds of collaborative activities that encourage learning. Since Mäkitalo-Siegl (2009) offered an acceptable description of collaboration, she will be the starting point in building an operational definition of collaborative learning. According to Mäkitalo-Siegl, collaborative learning is “an active process where learners enter into a joint activity and adopt common goals that bring them together to perform tasks or solve problems” (p. 9). In addition to recognizing the importance of process, this definition also offers the pursuit of common goals as an important part of collaborative learning. Yet, this definition lacks two important elements for collaborative learning in an online environment, which is the context for this essay. These missing elements are suggested by Reeves, Herrington, and Oliver (2004), who included the phrase “to solve complex problems and complete authentic tasks” (p. 53) in their definition of collaborative learning. The two elements suggested in this definition are complexity and authenticity – the complexity of the problems to be solved and the authenticity of the tasks to be performed. These elements represent distinct characteristics of well-designed collaborative activities for an online learning environment.